Vampy lips are my jam. 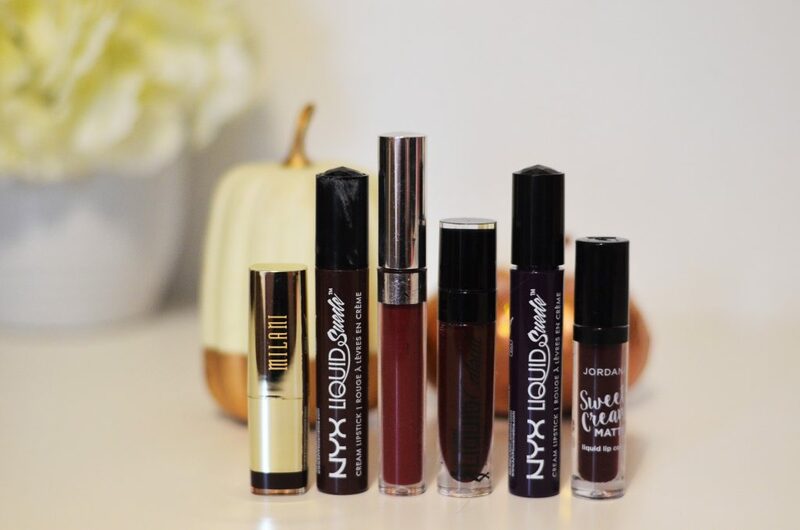 The beginning of fall means the beginning of fall lip season! (Shocking, right?) But if you have been around W&W for very long, you will know that vampy lip colors are some of my favorite things to wear. 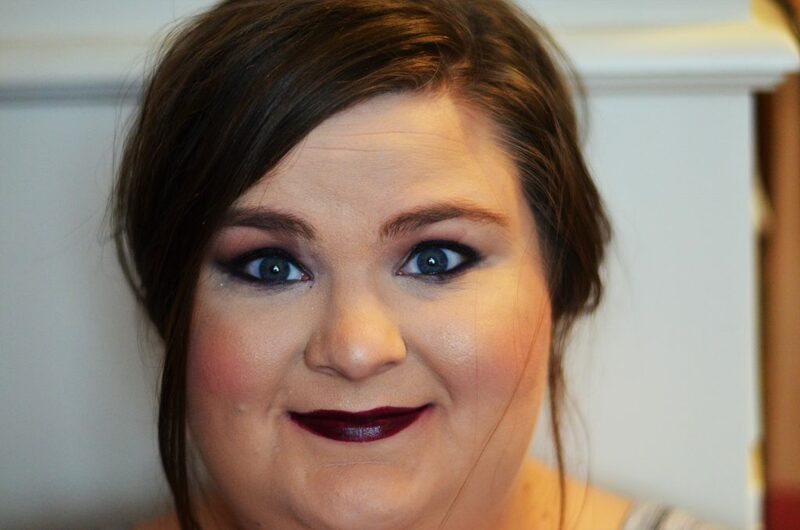 I know that sometimes vampy lip colors can see a little scary, I never thought I could pull them off! But I started trying them and obviously fell in love with them! 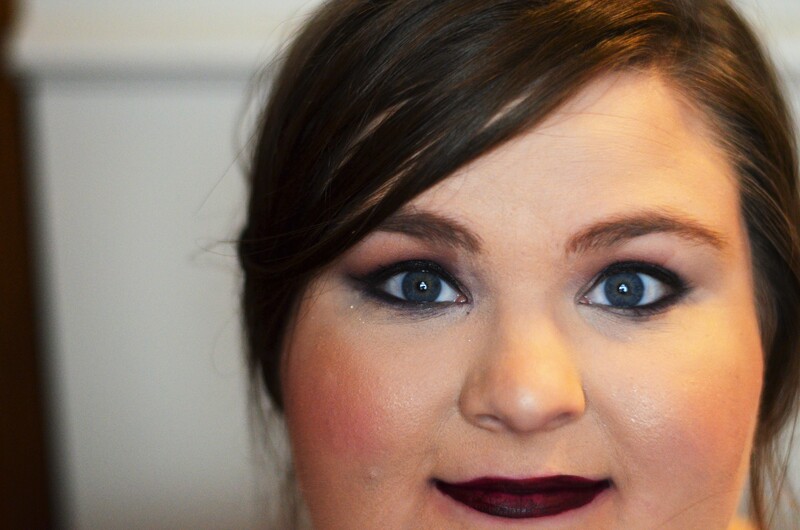 I think a vampy lip, whether red or berry, can suit any skin tone and if you love them-rock them! 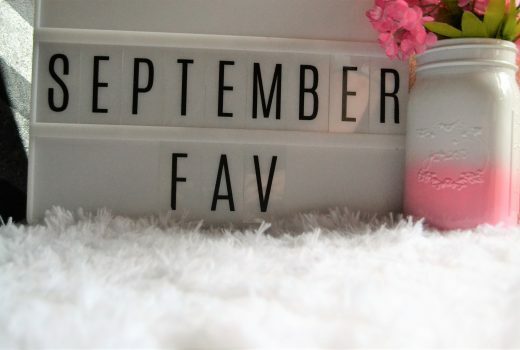 Today I wanted to share some of my favorite drugstore fall lip colors! The reason I wanted this to be specifically drugstore was so that they were affordable products if you were still unsure about wearing them but wanted to try it. These are all lips that you can buy from Walmart, Walgreens, or even Ulta’s drugstore side. Vintage is a gorgeous deep red that leans toward rust in some lights. 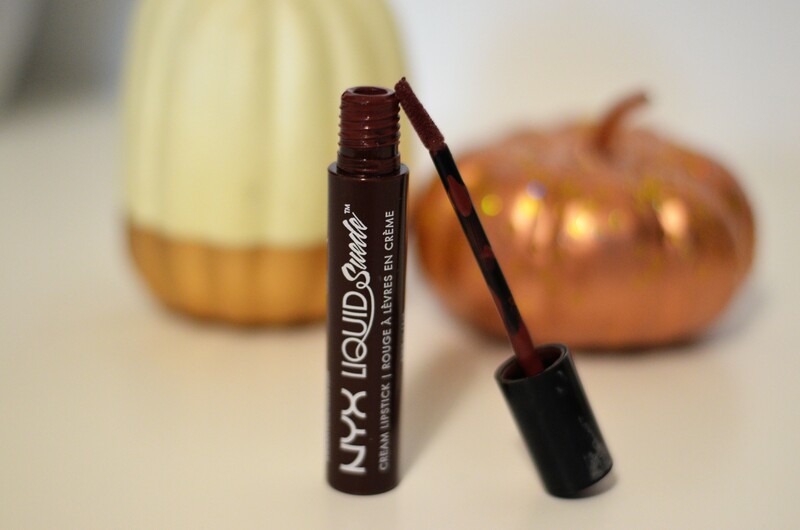 I’ve spoken about the liquid suede formula before and have loved it since. 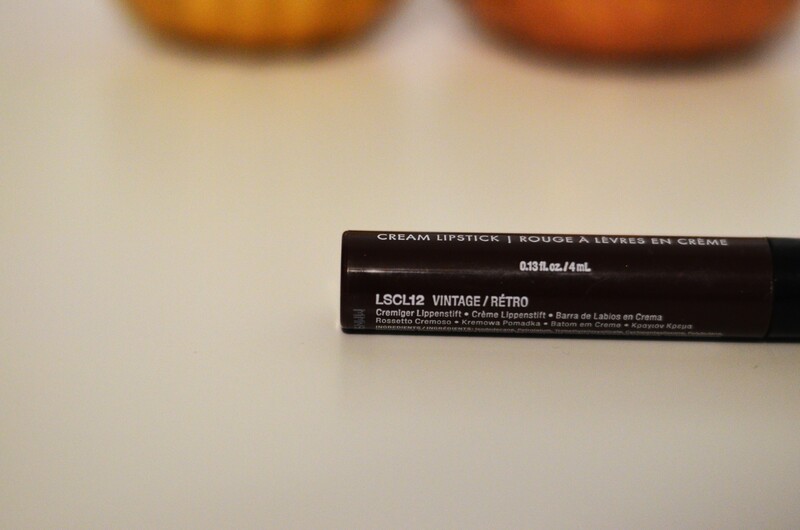 The formula is easy to wear and not drying on the lips. 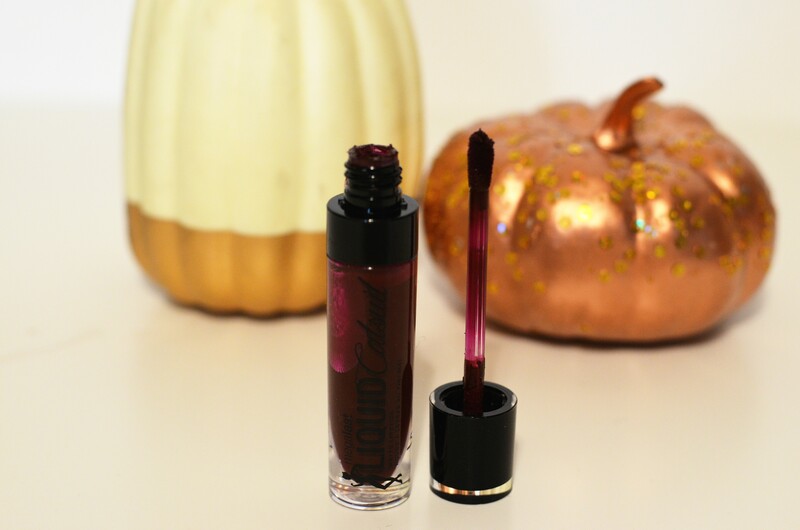 The color of this is perfect for those just wanting to step into the vampy lip world. 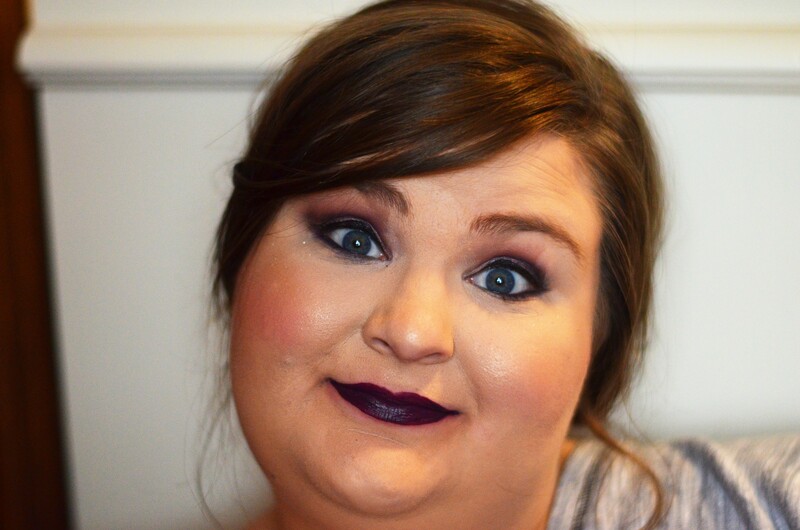 It is in the world of vampy, dark colors but it is still wearable and not too drastic. Vintage is a gorgeous shade that looks good with many different eye looks as well. Because it seems to sort of color shift in the light. 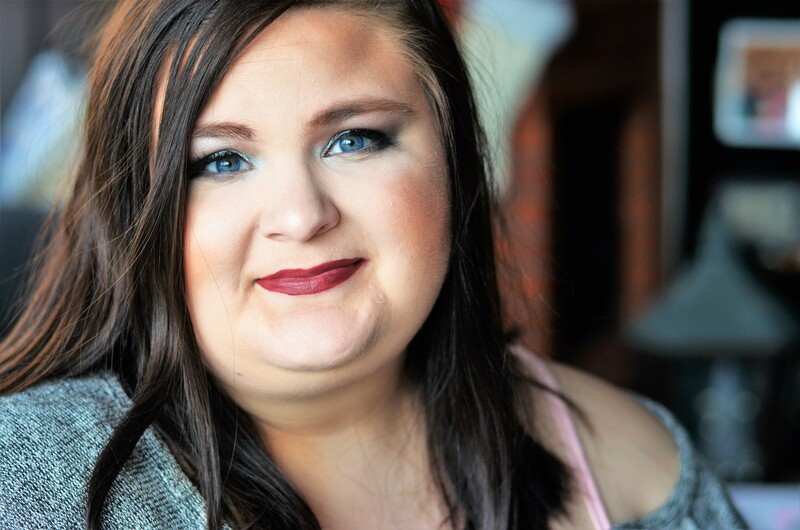 I have a purple eye in these pictures and I think it works well with those tones. 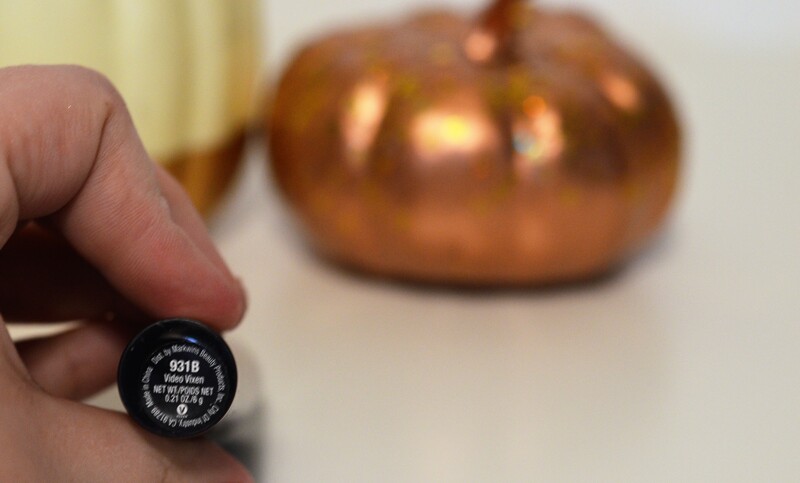 I’d suggest wearing any kind of fall-toned makeup with this lip color! 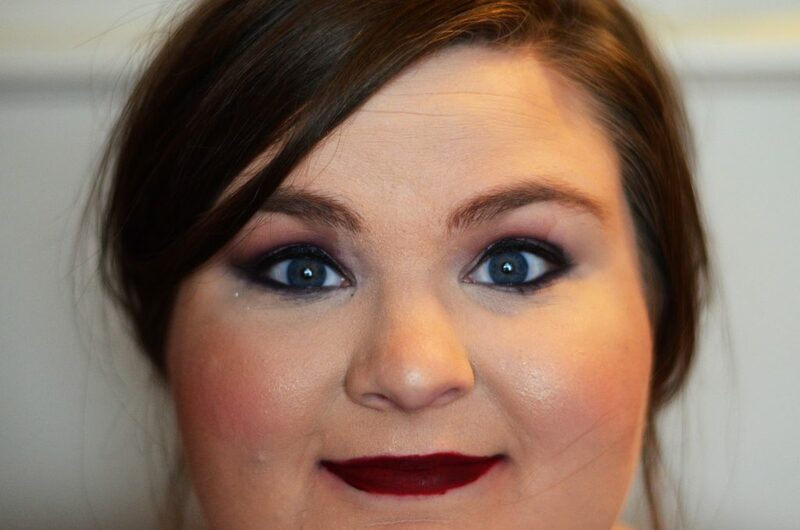 Because it isn’t too dramatic, you can pull off a bit more of a dramatic eye look with this lip. 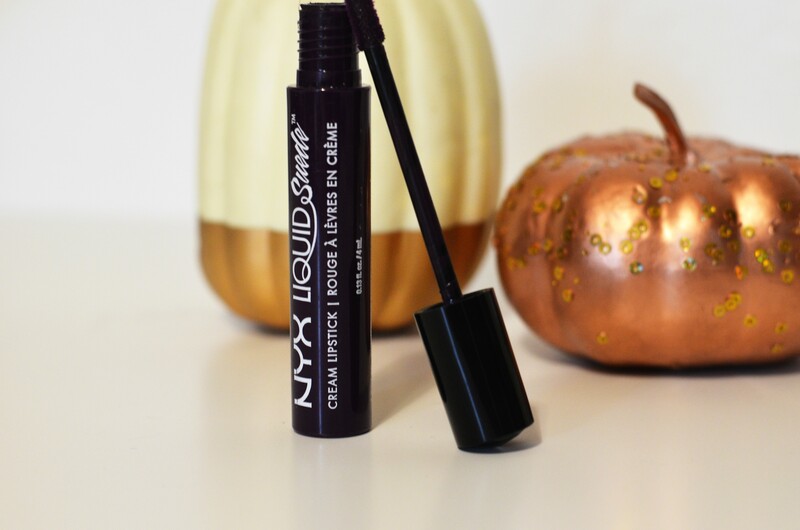 NYX Liquid Suede is also really easy to get your hands on! Typically most Walgreens, CVS, and Ulta’s sell them. 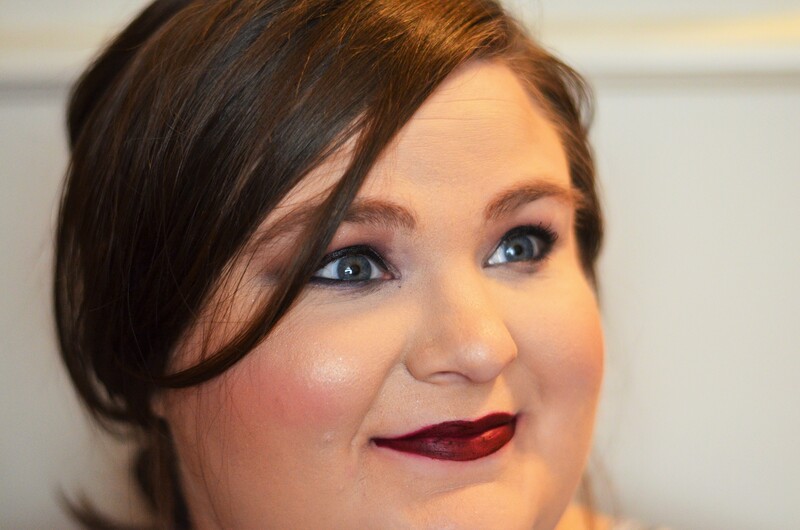 I’ve had this vampy color in my collection for a while and shared it in my Valentine’s Day lip post. I keep it because of the color, it is a gorgeous deep berry shade. The formula isn’t my all time favorite, but I still really like the product. 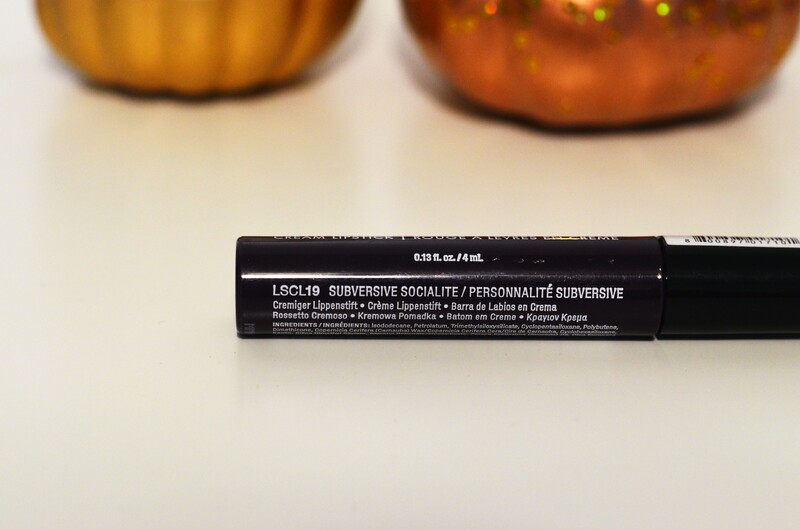 Keep in mind that this formula is a little drying, at least on my lips, After a long wear, it can almost dust off which leaves my lips to feel dry. The color is perfection though. It does have good staying power and doesn’t budge, which is always a good thing! Just remember to keep some lip balm on hand after you wear this shade. My biggest tip for wearing this specific shade is to apply slowly! 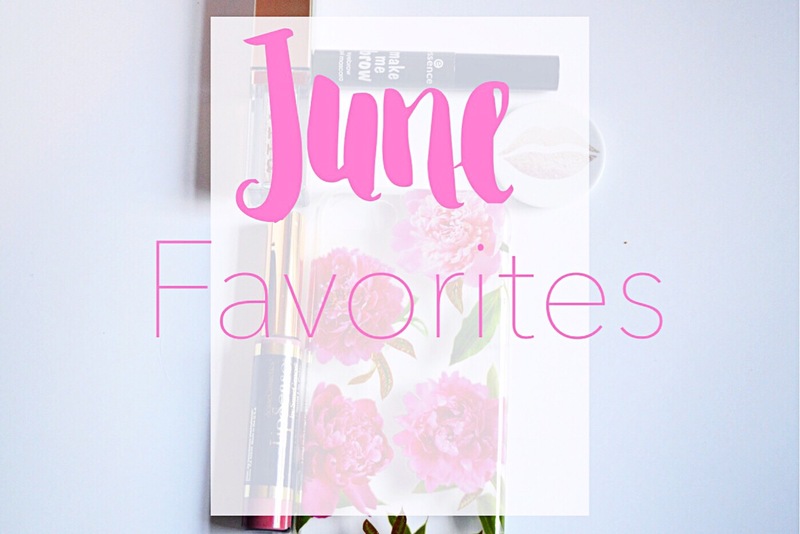 I love the applicator- it is smaller and allows a more precise application. But because this is such a dark shade, just apply carefully! And you might have to reapply in the waterline of your lips because it will get lighter there throughout the wear. Surprisingly, I haven’t tried these liquid lips from Wet n Wild yet (I know, I can’t believe it either!). They’re at such a great price point and I always love their products. 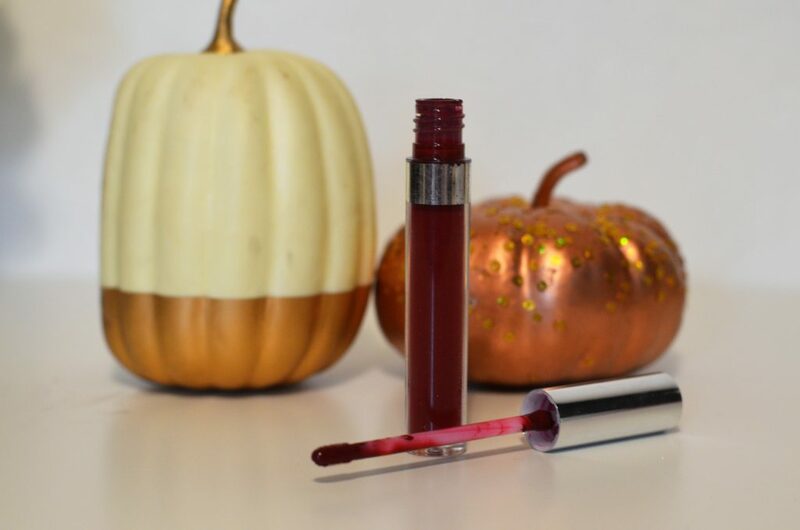 When I planned this post, I needed just another color or so to chat about and I knew I wanted to grab one of these liquid lips. Video Vixen is a bit of a confusing shade. In photos, the color looks berry. In the bottle, the color looks more brown. And then on the lips, it looks more crimson. Either way, I love it! I, so far, enjoy this formula a little better than the Jordana one but I also haven’t had as much time with it. It is matte but isn’t as drying. 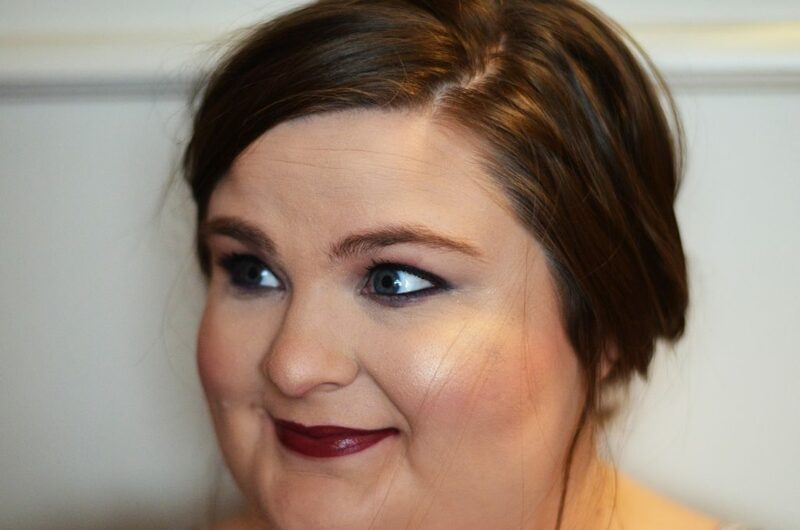 The shade, on the lips, appears to be a deep crimson that is another slightly more wearable deep lip color. Perfect for those that are new to the deep lip scene. I think that this shade would look gorgeous with a brown, smoky eye. 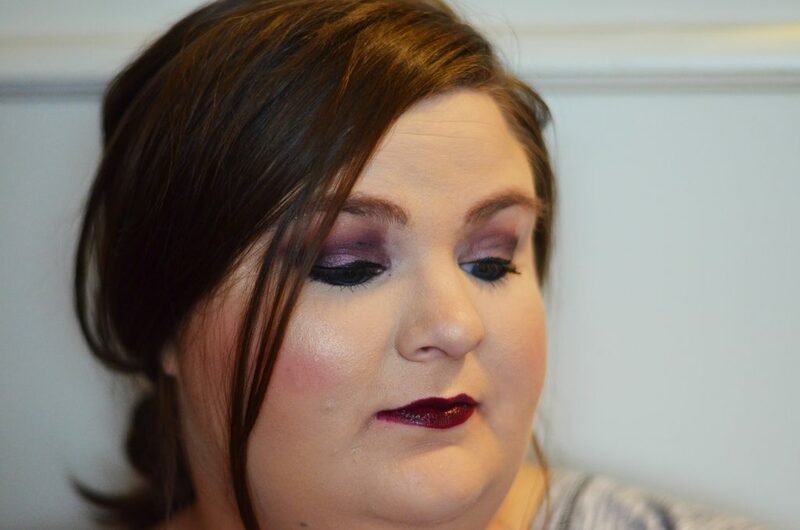 This deep purple shade was from my sweet momma’s lipstick collection! Now that I’ve tried it on more, I need one of my own for sure. More than any other shade from this post, this is pure purple. It’s not a berry or red toned at all. I would say that this shade is for my more adventurous friends because this is probably the darkest shade. 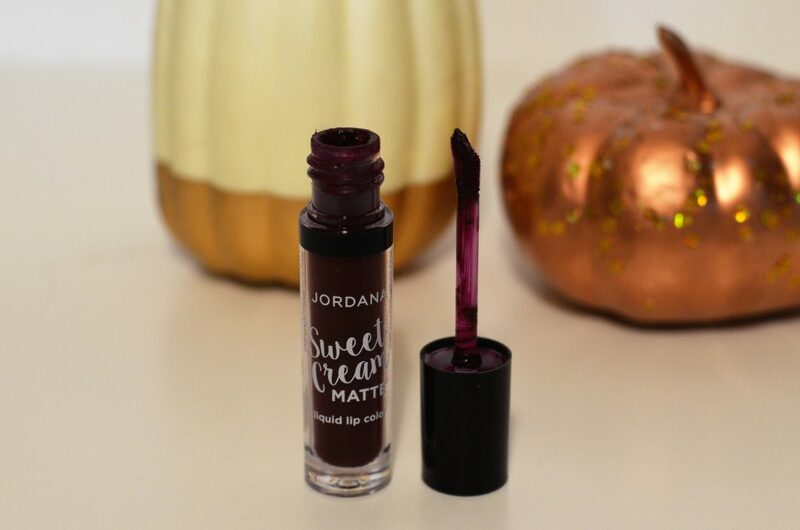 Like mentioned above, this liquid suede formula is spot on and this color is just FUN! One thing that I love about this shade is the fact that you can tell it’s purple. Sometimes, if you get a dark enough color it just looks straight black and that’s not really my personal scene. 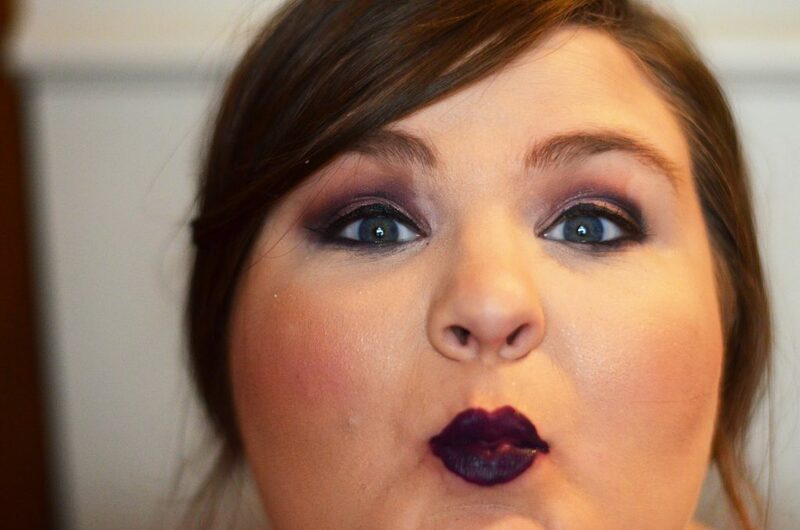 Subversive Socialite is a definite purple shade that is deep and definitely vampy! I actually really love this shade with a purple eye as well. I think true deep shades are often hard to get in an actual lipstick form. 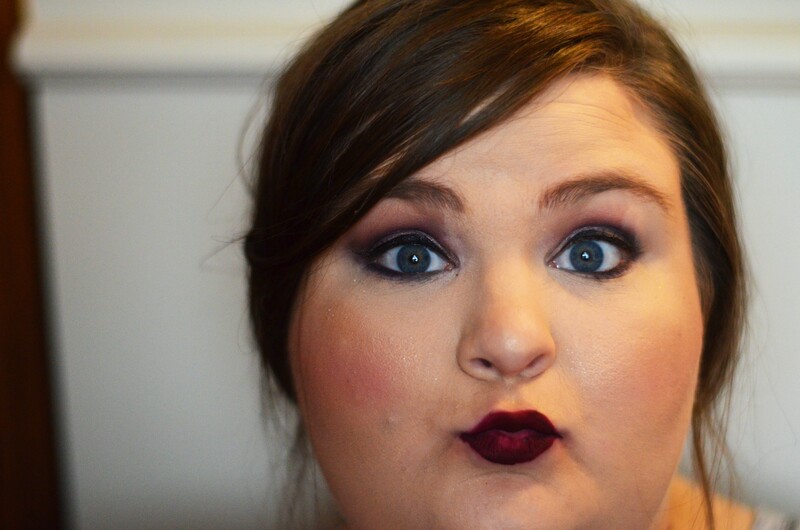 But Milani nailed it with this Black Cherry shade! 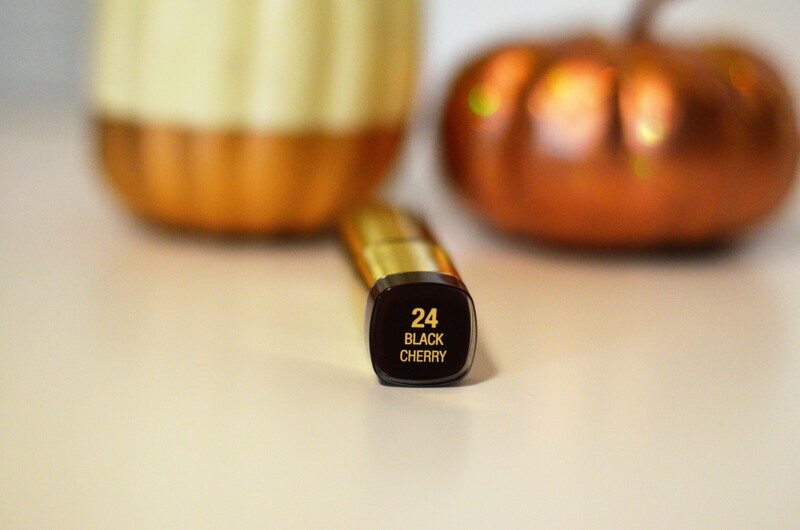 The formula is smooth and buttery that seems to last a good while. The packaging is always so pretty- Milani does a great job on that. Black Cherry is somewhere between berry and crimson- seems to differ on the light you are in. 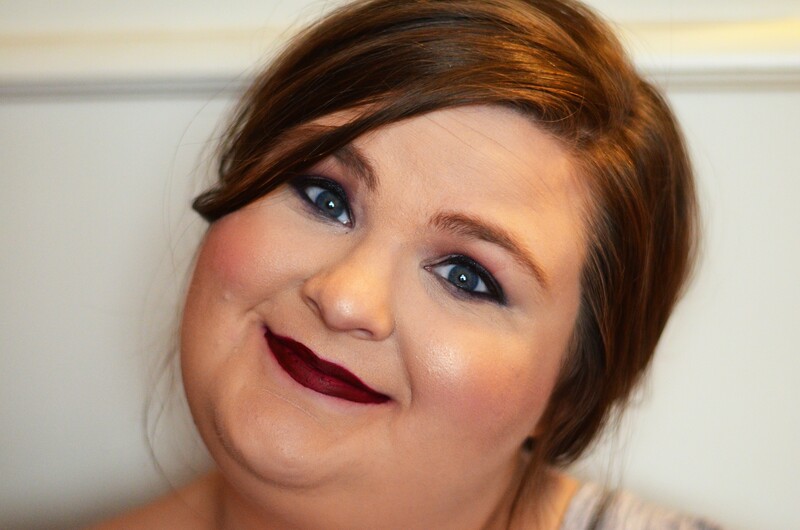 I also think this is a great shade for vampy lip lovers like myself. It’s deep and dark but still has a beautiful color to it. It’s easy to muddy dark shades and this is the opposite! 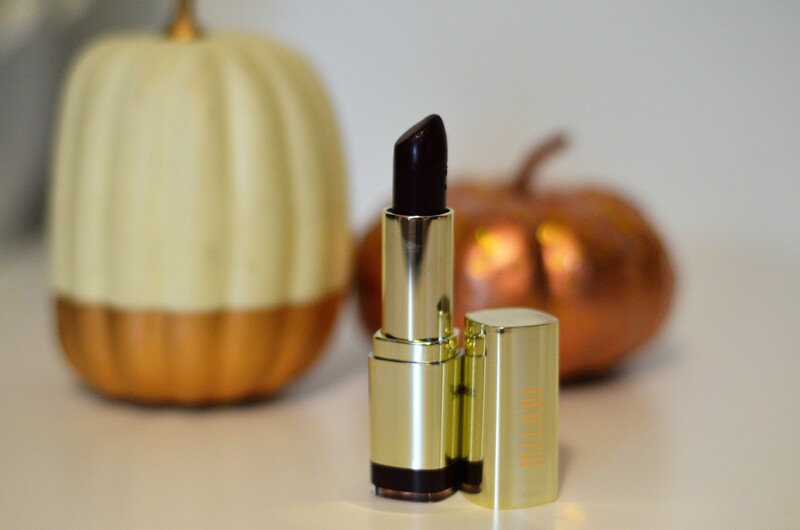 I would say that this lipstick is proably my top vampy fall lip so far. 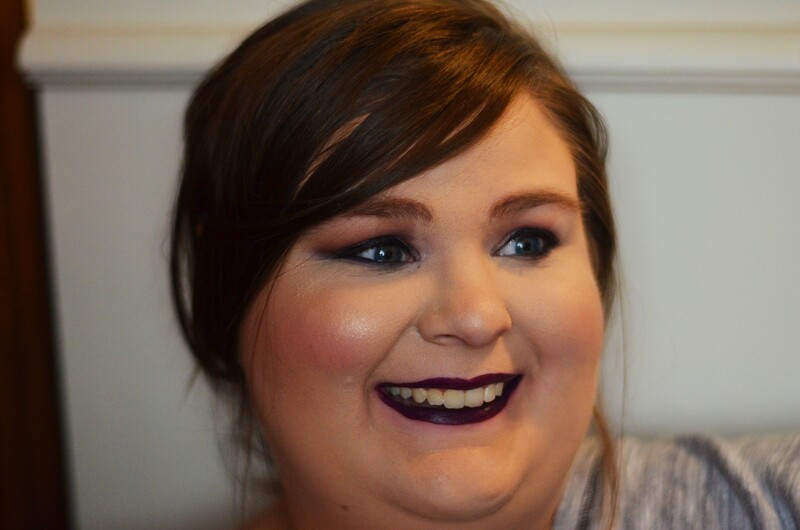 Another more wearable shade, Circles is a gorgeous deep red from Colourpop. I had a hard time finding it online but it isn’t very old so I’m thinking it might just be sold out. I love Colourpop lippies and I would say the satin finish is probably my favorite formula that they offer in the liquid lip. You guys know I love a more glossy, satin lip compared to a straight matte.